If you've got dry winter skin, this one is for you. 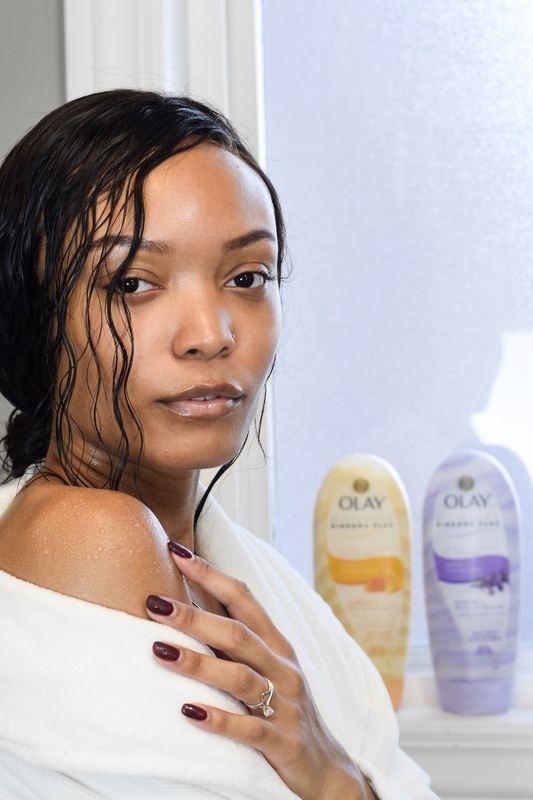 Today I'm teaming up with Olay to share the #WinterSkinChallenge! 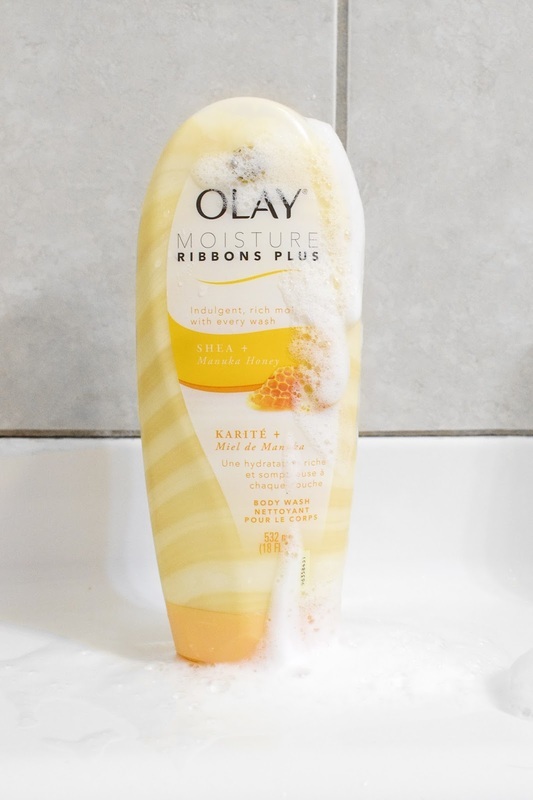 This challenge is all about keeping your skin hydrated and moisturized during the cold winter months with Olay Moisture Ribbons Plus body wash. After just one use of this body wash, you'll find that your skin is softer and more moisturized! I've found that the key to maintaining moisturized skin is to start in the shower. Let's be honest - sometimes you're in a rush and don't have time to apply moisturizer after your shower (or you're like me and can just be too lazy to!). With Olay Moisture Ribbons Plus, you'll be able to hydrate your skin without even giving it a second thought. Chicago winters can be rough and as someone who suffers from eczema, I definitely have to pay a little extra attention to my skin during the colder months. Dry itchy skin is no fun especially when it's cold out, so starting my moisturizing process in the shower is key! 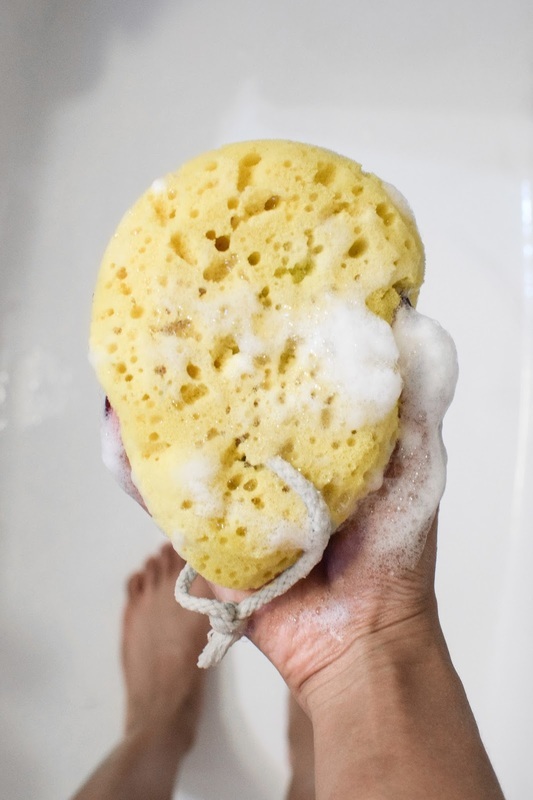 I squeeze a quarter size amount onto my body sponge and work it in until it forms into a rich lather, then apply and rinse. After showering, my skin looks and feels fantastic even before applying my daily moisturizer – that is, if I'm not too lazy to apply it! Besides its amazing lather, the thing I love most about this body wash is that it's made with shea butter. Shea butter not only helps to provide intense moisture, but it also turns the shower experience into a more luxurious one. Shea butter is my go-to after shower moisturizer during the winter, and to have it as one of the main ingredients in my body wash is such a game changer for my body care routine! My skin is definitely thanking me for it. 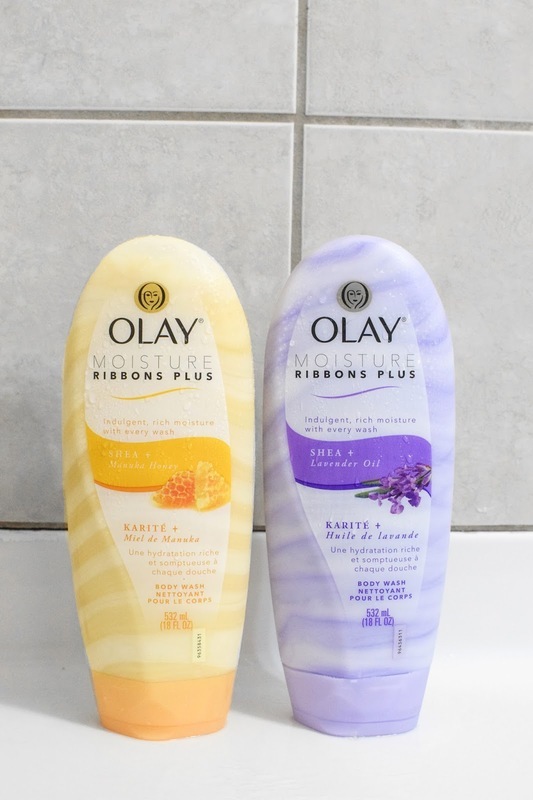 The Olay Moisture Ribbons Plus body wash comes in two luxurious scents: Manuka Honey, and Lavender Oil. Choose one and join the #WinterSkinChallenge with me to make sure your skin stays hydrated all season long!